What is healthy? Healthy eating is about consuming food for a more than adequate nutritional profile. Here are a few tips to ensure you eat foods high in nutrients rather than empty calories. 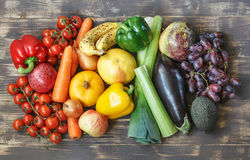 Real food is fruits, vegetables, meat, seafood, nuts, seeds, wholegrains and beans. Concentrating on these foods means reducing your consumption foods that a processed and come in a packet, box, jar or can. 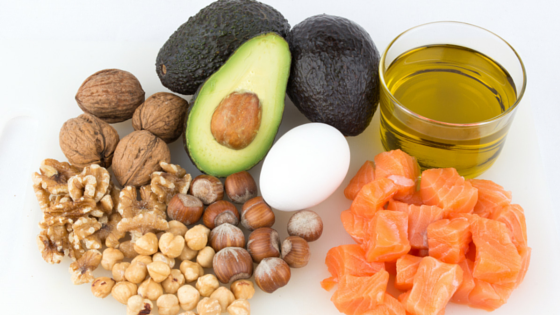 Healthy fats are found in avocados, nuts, seeds, fatty fish and oils like olive oil. These will keep you feeling fuller for longer and is essential to help lower cholesterol and keep your skin and hair looking good. Quality protein is lean meat, tofu, fish, pulses and nuts/seeds. Protein is very important macronutrient required for our body to grow and function. Protein breaks down into amino acids which form building blocks for DNA, cells, muscle, organs and more! When it comes to processed meats such as salami and mettwurst remember…focus on real food. I suggest trying to incorporate at least 3 differently colours of fruit/vegetables in each meal. This ensures you get a variety of nutrients your body needs. This is often the hardest for people. A couple of strategies is to portion your meals before eating and pack away leftovers so you are not tempted to go back for seconds. Another strategy is to pack you plate with vegetables. I like to cook extra vegetables with my meals and try to have at least half of my plate in vegetables. Sugar found in fruit is fine but it’s the added sugar that is the problem. Sugars are hidden in processed food which is another reason why I recommend to eat real food. Sugar raises insulin levels which leads to weight gain, hormonal issues and more. Technically, unless you are burning a lot of calories because you are a professional athlete you don’t really need to snack. It is ok to feel a little bit hungry every now and then. In fact, a substantial break between meals allows your gut to rest and detoxify. You may also find after a couple of weeks of no snacking that your blood sugar levels will be more stable, you will no longer have the urge to snack and you might also say goodbye to the 3pm slump. If you can’t wait for next meal I suggest choosing real food options like veggie sticks, fruit or nuts. 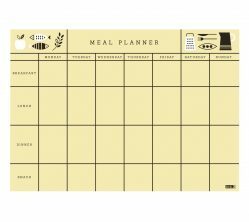 We are all time poor which is why meal planning is so important. Once you have done it you will see how much time it saves you and how much cheaper it is. The key is to choose easy recipes that you know don’t require too much fuss especially after a long day at work. Write your shopping list. This also helps to prevent impulse buying especially when that block of Lindt chocolate is on special.